I was going to write about the great time I had speaking to the amazing group of women (and men) of the Texas Democratic Women (TDW) group, and I will definitely do that soon. But something else has truly inspired and excited me today. I understand how easy it is to feel jaded and lose hope in humanity. Every day there is some new reason to feel hopeless, alone, and like there’s no reason to have faith in humanity. But today, we were reminded that people are really not as depraved and heartless as it might otherwise seem. 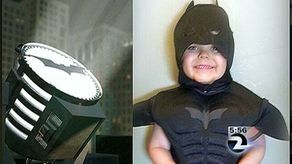 Through the efforts and orchestration of the Make-A-Wish Foundation and the kindness of thousands of San Francisco volunteers, including local police and elected officials, a little boy got to play “Batkid” and save “Gotham City.” In what is being called one of the most elaborate Make-A-Wish events ever seen, sweet little 5-year-old Miles got to play Batman with his little brother playing his sidekick, Robin. The day was complete with a Batmobile, villains, damsels in distress, and thousands of fans cheering this little man on along the way…oh yes, and let’s not forget the shout out “Batkid” got from the President! 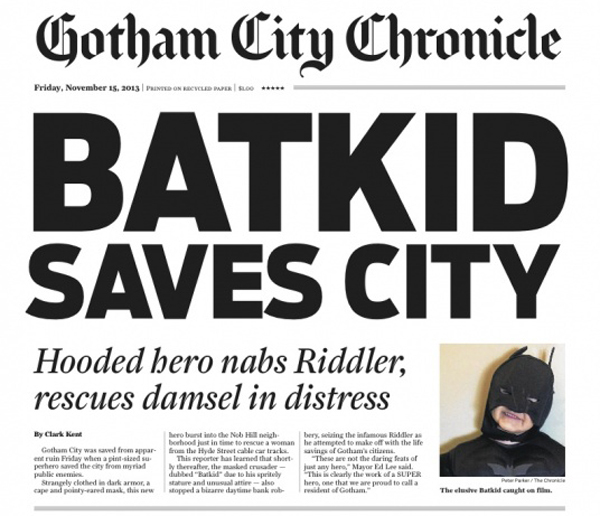 The story of the San Francisco Batkid is one that will hopefully be remembered for years to come. Yes, this was exciting and sweet and gave everyone watching that warm, fuzzy feeling. It was amazing, and in a lot of ways, it reassured me. It would have been just as easy for all of those people who volunteered to stay home. It would have been more convenient for them to make an excuse about being too busy. There are a million and one reasons those thousands of people could have created to stay home…but they didn’t. I have believed for a long time that people really are inherently good. I believe that faced with helping someone at your doorstep in need or closing the door in their face, the vast majority of people will choose the former. But I also believe it has become increasingly easy to dehumanize people–this includes our brothers and sisters on the other side of the planet and our next-door neighbors. As long as it’s not our child, our father or cousin or sister or best friend, we can very easily dismiss other human beings as faceless, nameless people who aren’t deserving of our time and attention. But this isn’t who we are. This is not the real driving force behind what connects all of us. And Things like the San Francisco Batkid and all the people who didn’t make excuses, helps me to continue believing in the greater good of humanity. No More Sugar, No More Spice!